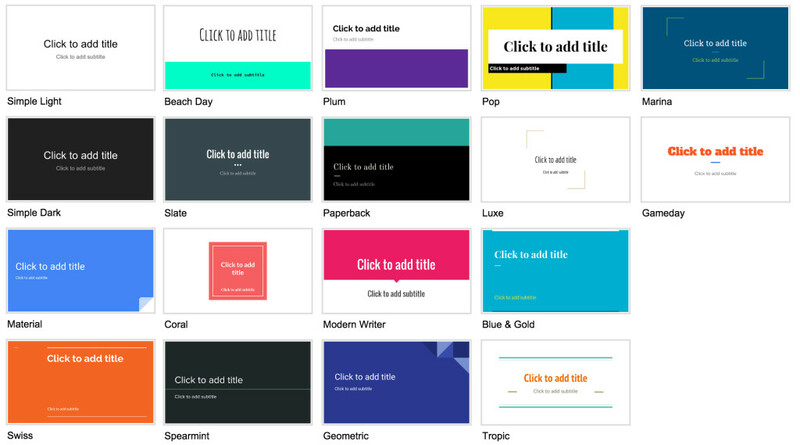 Google Slides comes with many different built-in themes & designs that you can use to decorate your presentations. 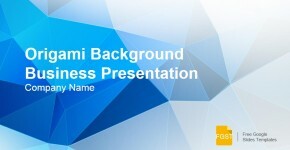 Applying a Google Slides theme can help you to apply a modern design in record time reusing any of the pre-defined presentation templates. The following image shows all the Google Slides themes available at the time of writing this article. Each Google Slides theme has a name assigned and a pre-defined color palette that is associated with the name. For instance, the Material Google Slides theme uses a color palette that is present in the Google’s Material User Interface. Applying a Google Slides theme only requires to accomplish a few steps. Then, go to the Slide menu and click on Change theme… option. A new pane will be visible at the right side. 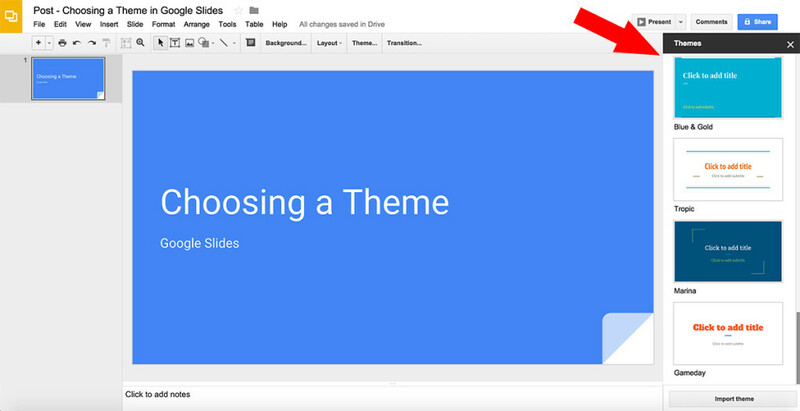 This pane lists all the available themes in Google Slides. 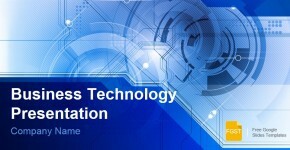 You can choose any of these available themes or Import a theme from an existing presentation. Importing a theme is also a very useful feature. Clicking this button will open a new dialog box within the browser where you can choose any existing presentation in your Google account or it can be used to import any of our free Google Slides templates. After you make a copy of the Google Slides template with your own Google account, it will appear visible in this dialog box. One of the main benefits of using Google Slides themes is that you can focus in organizing your presentation content and creating your slides without spending too much time designing your presentation from scratch.